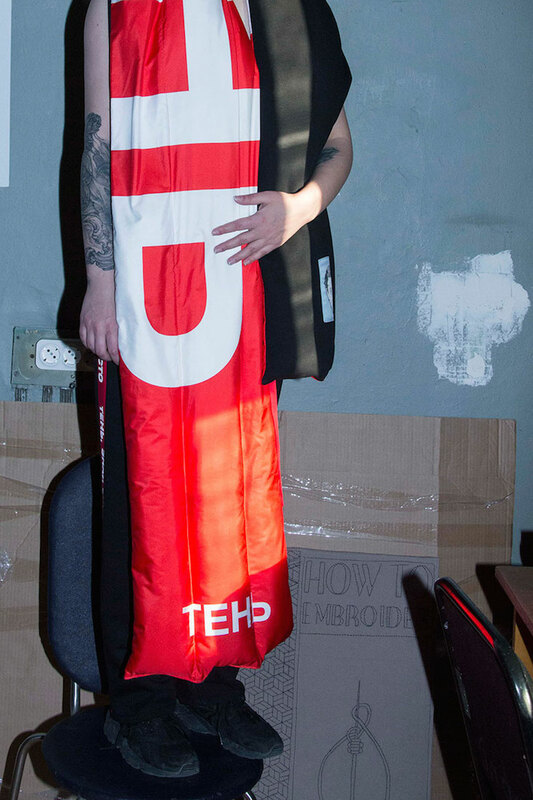 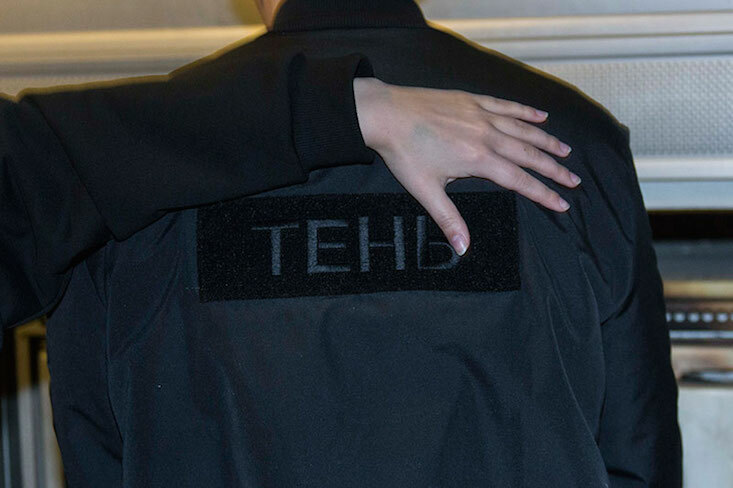 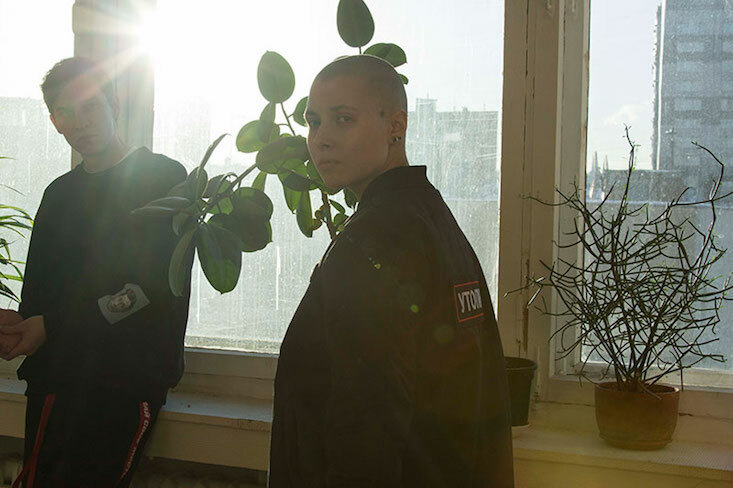 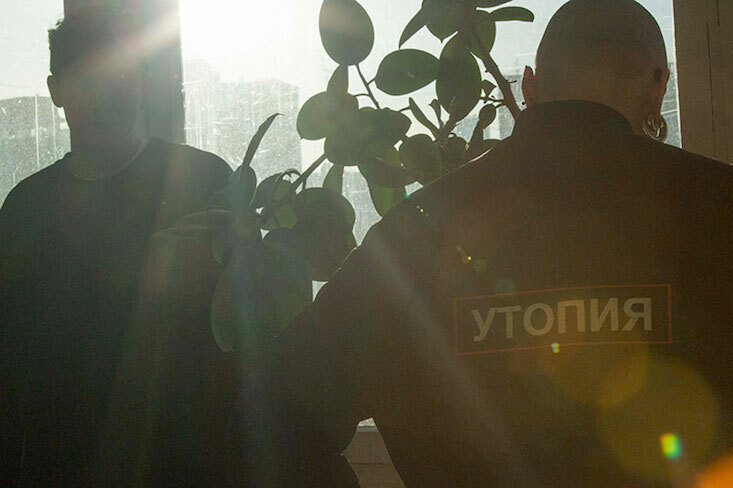 Set in and among towering apartment blocks, the teaser for Russian streetwear label T3CM's first Fall/Winter 2017 collection takes its inspiration from beyond the catwalk. 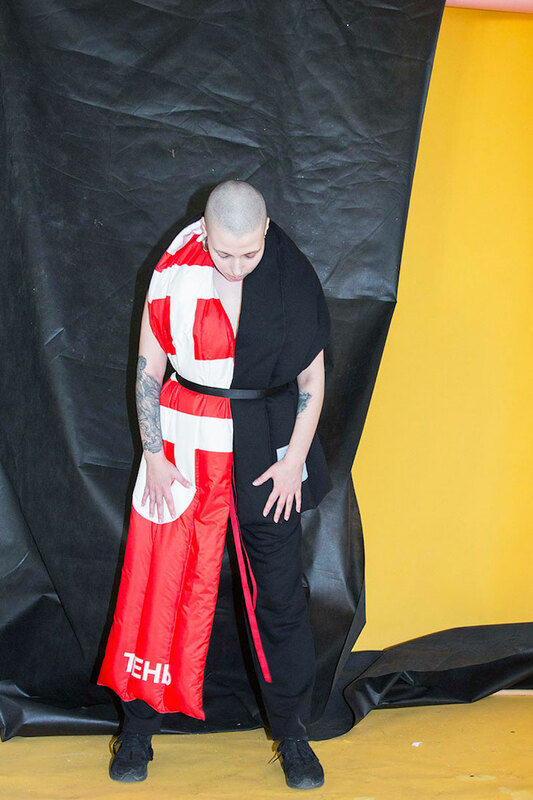 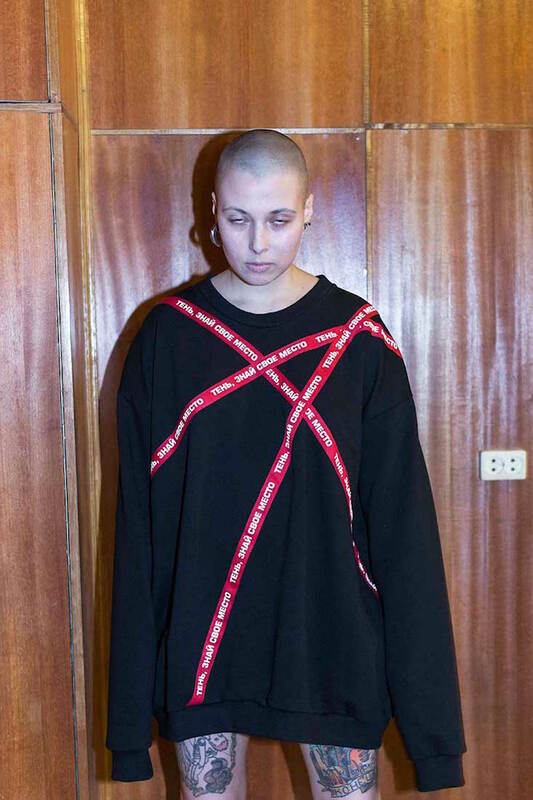 Drawing on the theme of totalitarianism, the collection is inspired by controversial Slovenian political art collective Neue Slowenische Kunst and borrows from the 1971 film Shadow (dir. 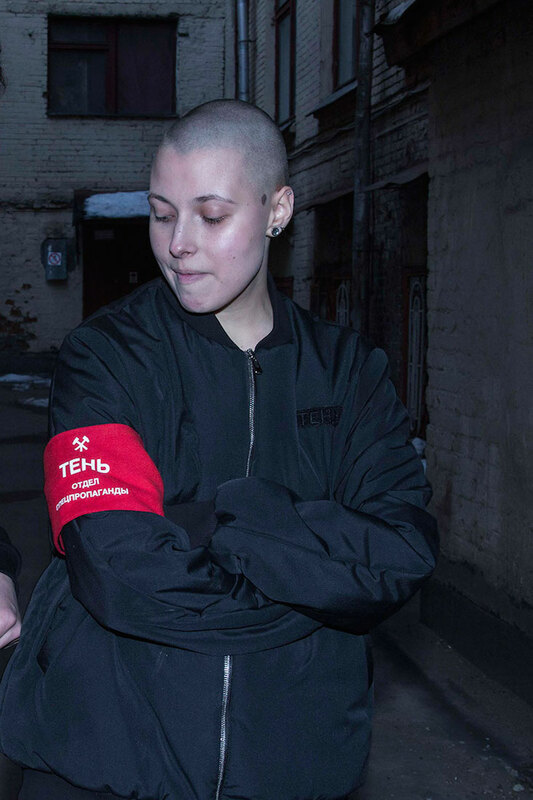 Nadezhda Kosheverova). 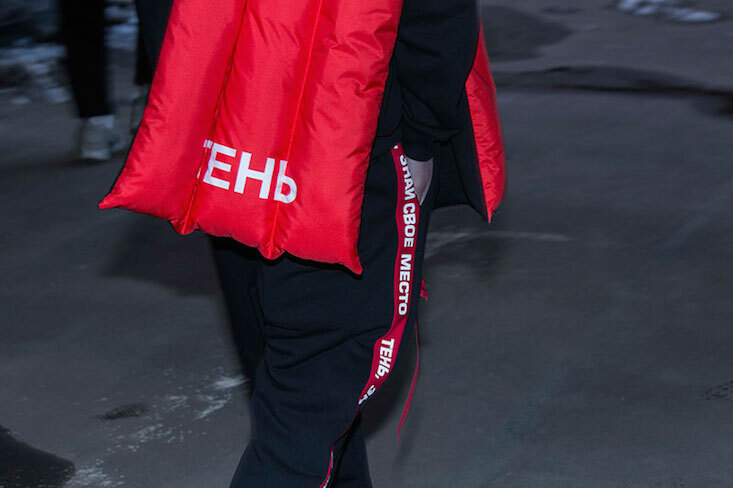 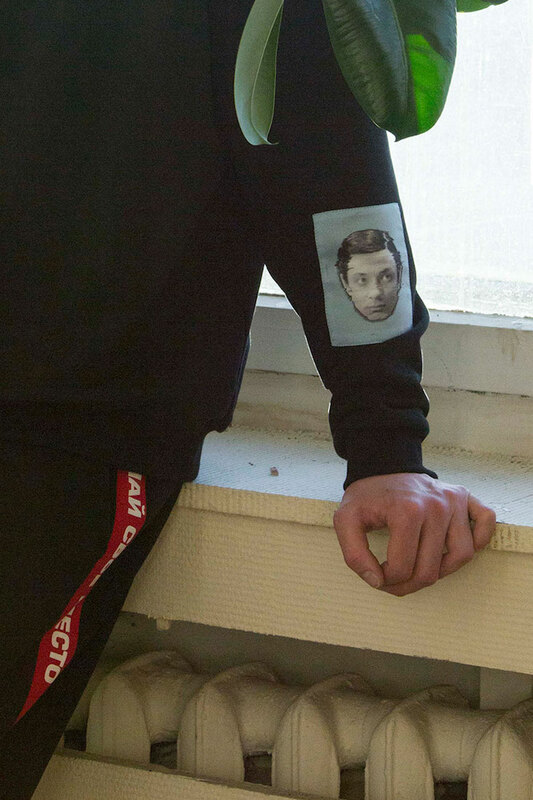 Among other words and phrases adorning the garments, the collection features a famous quote from the film, Shadow, know your place, written in Russian on a sweatshirt and sweatpants. 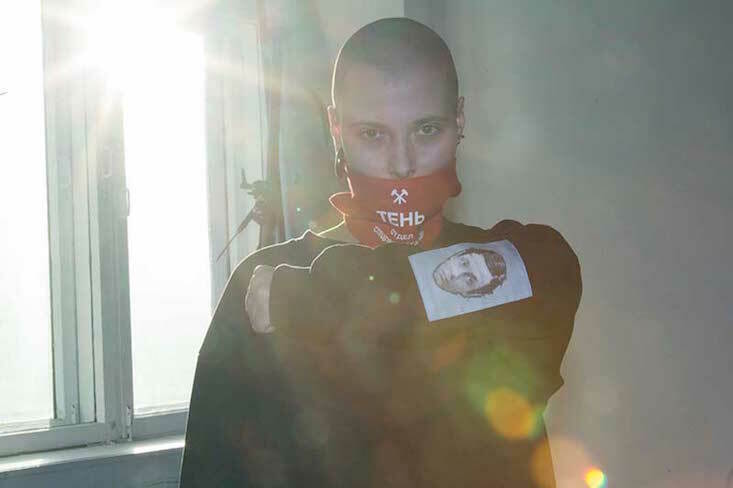 In his playful bringing together of language, film, art and fashion, designer Dmitri Kluchevski comments on Russian reality today — how do these elements intersect, interact and impact upon daily life in contemporary Russia?